Here, finally, was proof that mod could mutate into a reflection of contemporary street culture and yet still retain its vital characteristics: confidence, defiance and an appreciation of a nice pair of shoes, all wrapped up in a cocksure bravado traceable all the way back to original ‘tacky herbert’ Jimmy Cooper. A booming Loaded magazine (run by Jam fans James Brown and Tim Southwell) happily ran fashion spreads of Liam-esque models in fishtail parkas and Hush Puppies and Oasis duly became the biggest band since The Beatles. Once again mod chic had officially became the nation’s leisurewear and outlook of choice. In the early 90s American music ruled the airwaves internationally. Seattle had spawned the angrily apathetic punk-metal hybrid that was grunge, and the slacker sound had rolled right round the world. For every action there is a reaction. Britpop was that reaction. Blur front man Damon Albarn explained Britpop as a reaction to grunge's lack of style. The Britpop scene of 1994 - 1997 was a sort of stylistic second coming of the mod revival, this one based less on soul and R&B and more on the pure Britishness of being what was essentially a modern mod. Britpop bands brought back the importance of being British, and the music was so thoroughly British it never did manage an invasion of the US the way sixties British music had. Britpop was a cultural shift through and through. It had its own movies like Trainspotting and Lock, Stock & Two Smoking Barrels. It had its own celebrity nightlcub The Blow Up. Its own style, lad boys along with its own documentation of the style, lad mags. But above all it had its own music which dominated the world's music scene throughout the mid-90s. 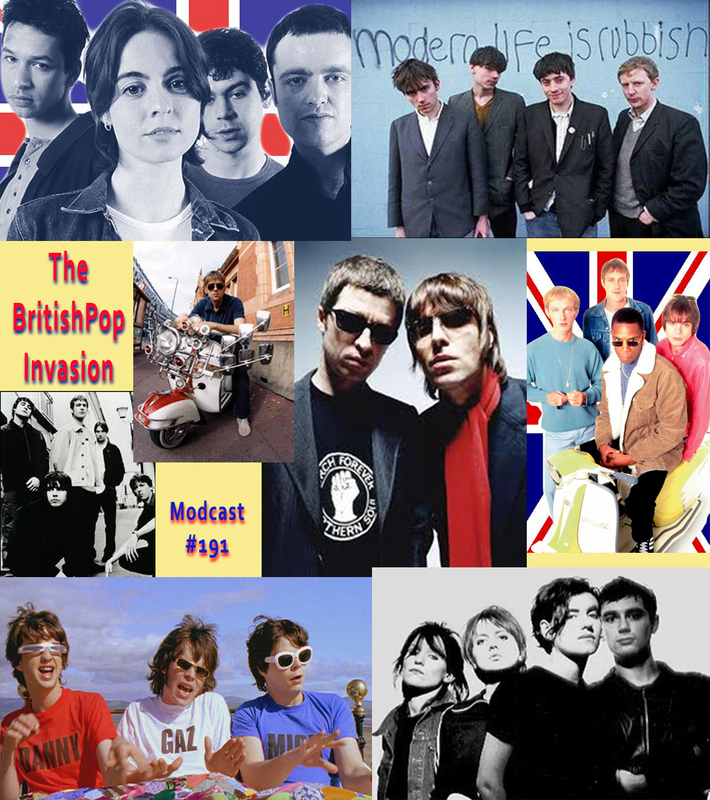 So, as part of my mod essentials series of modcasts I'm exploring the Britpop phenomenon. 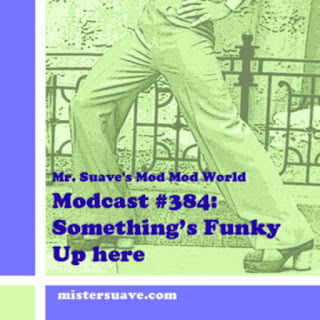 Previously I looked at the sixties mods and then the mod revival of the late 70s and early 80s. And now it's time to turn to the 90s. If you missed last week's show on the beginnings of Britpop be sure to check it out here. You can explore more as well. I had a lot of resources that I was able to crib from, using audio clips and borrowing quotes. There are some good movies about the Britpop era: The Britpop Story and Live Forever. There is a fantastic book that delves into the whole scene from the music to the culture to the politics: Britpop! : Cool Britannia And The Spectacular Demise Of English Rock by John Harris. Mojo magazine produced an entire Britpop special edition a few years back that includes interviews with about 20 of the artists and briefly tells the scene's story. Once you get into it you'll find, as I did, how amazing a time it really was.